This morning all of the Basics gathered to watch the finals of BBB. Remember how each squadron ran through the Assault Course twice, and on their second time through they had pugil stick fights? These A-Course fights were to determine the finalists for each squadron. 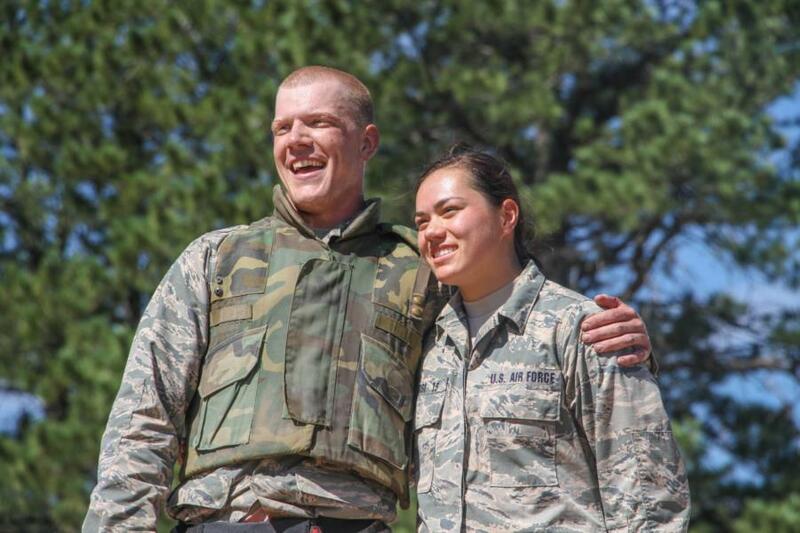 Every squadron put forth their top male competitor and female competitor to fight for BBB. They fight till one gets three points (one point gained from a body or a head shot), and the losing competitor is eliminated from the competition while the winner advances to the next round. Here is the List of Contestant Winners from each round all the way up to the final two who were named the Big Bad Basics! Last Female Pugil Stick Fight with the Winner and Runner Up! Last Male Pugil Stick Fight with the Winner and Runner Up! Male and Female Winner Announced!